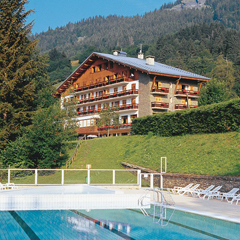 I stayed at Villa du Lac for an extended period while on a work assignment in Switzerland. The staff at the hotel were very friendly and helped me with any questions I had. The food was good and the restaurant staff went out of their way to make me feel welcome. 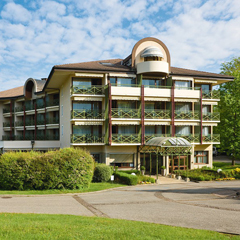 The location of the hotel is excellent with the Lake and walking path located right across the street. The town of Divonne is very pleasant and offers a number of shopping and eating options. I will definitely stay here again! Very enjoyable trip and we will return. 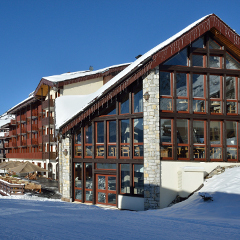 The hotel was clean and friendly and in an ideal location for our ski holiday. The staff were all helpful and courteous. 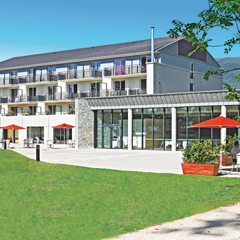 This hotel offers good value for money. Nice hotel, good food and good service from the staff!